We Search Trusted Retailers DAILY to find you the best deals on Warming Drawers and the latest Warming Drawers sale to save you money. Warming drawers are hitting new kitchens across the UK and have quickly become one of the years must have appliances, along side a swanky coffee machine that is. But don't write these off as a gimmick party piece for people to boast about, but never use. They do have some useful functions and serve a pretty good purpose in the kitchen. Especially if you've a busy house with family coming and going at different times of the day. 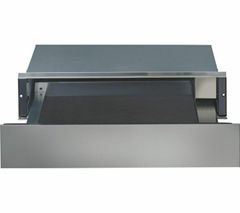 Some of the quality low priced warming drawers also do more than just warm up your plates and keep your dinner warm. They can be used for a full range of things, from proofing bread dough, slow cooking, defrosting meat and a wide range of useful things. Now these are not going to be of any use to everyone. There's not going to be much call for a warming drawer for a single person in an apartment who never does much in the way of cooking for example. Like we said, they aren't all just style over no substance though, but we can't not talk about just how nice they will look in a nice modern looking fitted kitchen. You can get them with a smooth flat polished glass surface, or with a look to match the finish of your kitchen drawers. We think the Neff built-in warming drawer range are one of the best looking ones you can find. The Neff warming drawer range also do well on performance test too though, they are no wall flower. Other top brands to look out for are Baumatic warming drawers. These are also great looking and performing warming drawers that are a little more affordable. Or real top end brands like Siemens warming drawers. These are a really quality warming drawer, but expect to pay for it too. One of the hardest things about choosing a warming drawer is probably whether you should bother getting one at all. Because they are a relatively new kitchen appliance many people will think they never seen a need for one before, so why bother. And for a many people this is a genuine reason not to look at them. A mid range warming drawer will set you back £200-£450, so you will be wanting to make sure that you'll be getting your monies worth. So if you don't do too much cooking, are part of a small household, and don't do to much baking, then we'd suggest you give this a miss altogether. Unless that is, you want a kitchen that looks amazing and love to host a party. A warming drawer will have your guests a little envious. If you're a big busy family who are always coming and going at different times of the day, then we think you'll find one of these kitchen aids pretty invaluable once you get going with it. They can keep the dinners you make warm and ready for all the family to enjoy when they arrive home. They will also be of great use for those of you who love to bake and cook. Especially for those bread and pastry bakers out there. They are pretty much perfect for proofing dough. That really all depends on how much you'll be looking to use it and the level of which you'll be using it. If it is just to keep dinners warm until all the family get home, then a good low priced mid range option will be more than perfect for this. There's a really nice Bosch warming drawer that's got some good reviews and we think offers really good value for money because it's got over £230 off it a AO.Com right now. If you want the full features and looks of a quality top of the line warming drawer. So you're really into your cooking and baking, and entertaining of course, then be ready to spend. 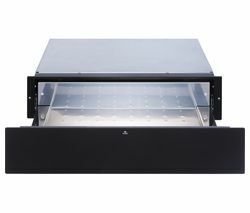 At top of the line, all singing and dancing warming drawer can set you back over £800. 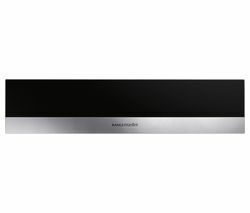 But just take a look at the Miele clean steel warming drawer, this will look great in any kitchen style, and it's also one of the best performing warming drawers you'll find. Now we know that not all budding chefs or big families can spend this on a warming drawer, and there are great performing ones that you can get for less than half the price of the Miele warming drawer. AEG, Smeg and Bosch all do quality cheap warming drawers for you to look at. Also don't forget to look out for a sale on warming drawers. Picking one of these up in the clearance section, or for a big money saving discount is a great way to get a warming drawer for real value for money. We hope we've made a little bit of sense when it comes to what a warming drawer can do for you, weather you should bother getting a warming draw and which type you should be looking at. Most of this will probably depend on your budget though, so always make sure you're getting the best value for money. Take a look at the ones on offer below. We feel they offer great value on a warming drawer. Not much of a selection to look over from Argos. This is due to them still being a relatively new kitchen appliance. One thing Argos do though is cater very well for the budget end of household appliances. This is by no means saying that they are not any good. The Baumatic warming drawer that they have, looks great and has some good performance reviews on it. It can hold up to 12 plates and comes in a brushed steel finish. A perfect warming drawer for those on a tighter budget. Massive choice selection from AO.Com. They have ones to suit all budget types. They have some great deals on Rangemaster warming drawers, some great mid range brands like Neff, and this is where you can buy the daddy of warming drawers from Miele. This is one of the best warming drawers that we think you'll find. AO.Com also does a finance deal of their appliances too. This can help spread the cost if you're set on a higher priced warming drawer. Currys have a good brand range of warming drawers. They have a couple of AEG warming drawers that are very popular with there customers. They look and perform great and also come with a 2 year piece of mind guarantee. Head over to their website for a more detailed view on these and other really good warming drawers from AEG, and also check out the Siemens warming drawers too. We are big fans of these range of warming drawers.